Generosity is paradoxical. Those who give, receive back in turn. By spending ourselves for others’ well-being, we enhance our own standing. In letting go of some of what we own, we ourselves move toward flourishing. This is not only a philosophical or religious teaching; it is a sociological fact. . . . [In] failing to care for others, we do not properly take care of ourselves. The Scriptures have much to say about generosity. In fact, some have argued that “generosity” is one of the most important themes throughout the Bible. For three weeks, City Church is going to tackle the idea of generosity. Join us as we discover how generosity is the key to human flourishing, made evident in the generosity in a Savior. Sunday, June 4 – Radical Generosity: Neighborliness – Isaiah 1:11-20. 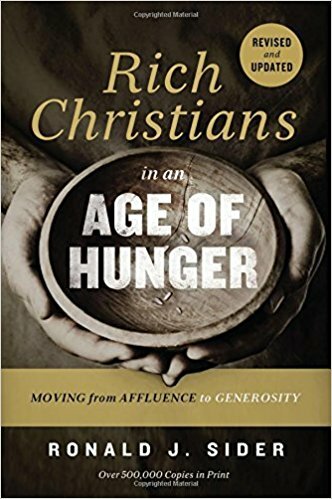 You can download the podcast here: "Radical Generosity: Neighborliness"
Rich Christians in an Age of Hunger: Moving from Affluence to Generosity, Ronald J. Sider, PhD, Yale. This has become the standard book on the topic of Christian generosity for over four decades. Make sure to pick up the revised and updated editions for currents facts and figures. The Paradox of Generosity: Giving We Receive, Grasping We Lose, Christian Smith & Hilary Davidson. Smith is a sociology professor at the University of Notre Dame. This recent release provides research proving the idea that generosity contributes to wellness. Interpretation: Money and Possessions, Walter Brueggemann. For a technical look at the way the Scriptures handle the topic of Money and Possessions, this is a great resource.